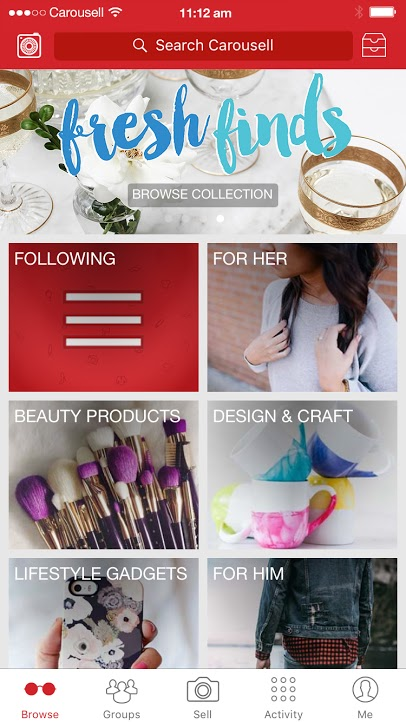 How do I add new/current listings to a group? 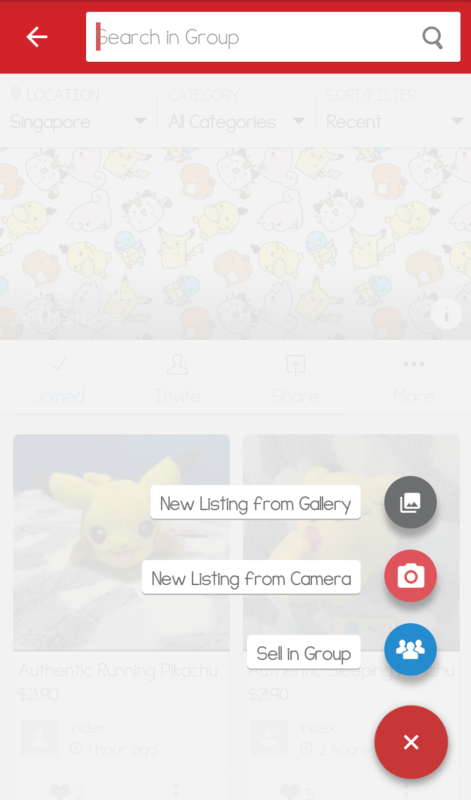 You may add a listing to a group after it has been listed. However, do note that you must first join the group and become a member. 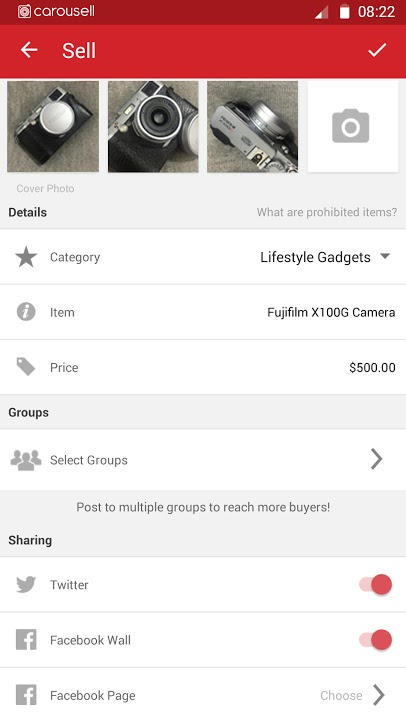 If you are using an iPhone, tap on the group you would like to list the item in. You should see an option to "Sell in Group" located under the banner at the top of the page. If you are using an Android, tap on the group as well. You should be able to see a red circle with a "+" sign at the bottom right hand corner of the screen. 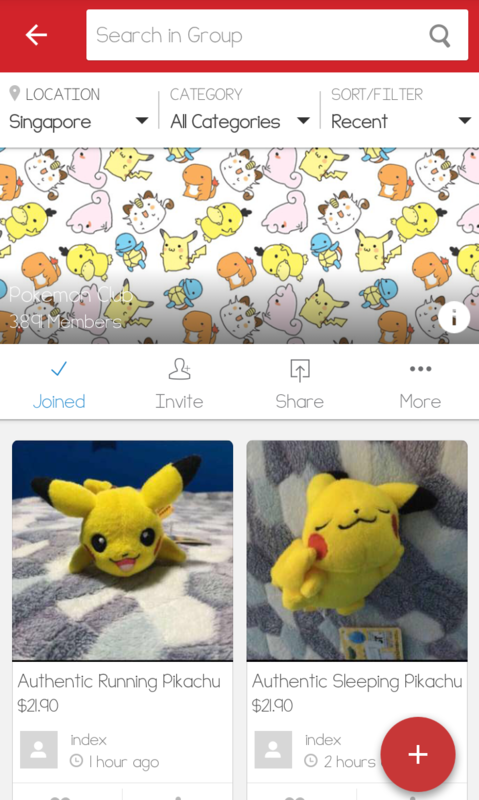 Tap on this circle and you will see an option to "Sell in Group". 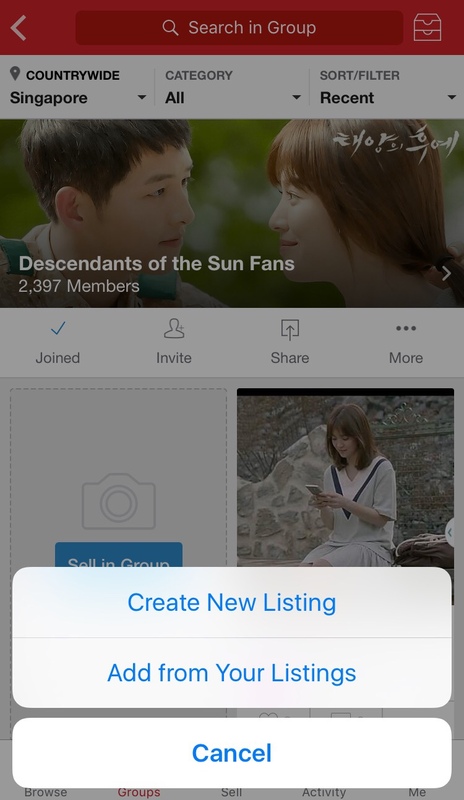 Tap on that and you will be able to select listings from your own listings to post in the group. Take a photo of the item that you are selling. Be sure to capture any relevant details or defects if there are any! Key in a description and a price, and specify a location where you would prefer to meet your buyer. After that, choose the group(s) that you would like to add your listing into. Tap on the 'Done' button at the top right corner o the screen.